Reach consumers with compelling online events. Consumer focused webinars are specially designed to reach individual consumers with a service or product that they can purchase. Retailers, manufacturers, and people who provide personalized services can use Webinars and online events to reach consumers. Consumer-facing Webinars have enormous value. A tanning salon, an accountant or auto-mechanic, lawyer, restaurateur, or retailer all have valuable insight to share about their business. The key is to offer it as an educational session for consumers. For example, a tanning salon may have advice for people planning to go away on vacation. Changes to the tax code or a new law taking effect can be a great opportunity for an accountant or lawyer to share their perspective. And who says an auto mechanic shouldn't hold a Webinar to talk about seasonal maintenance on your car? Webinars are very effective at connecting with consumers, just as they are business professionals, government officials, health care providers, teachers, and more. The key is to have the right topic. And that starts with asking, "What is your audience interested in?" Many times, a business owner has trouble seeing what other people see, because they are so focused on what is important to them or what they think everyone else should know. Consumer Webinars always have to be about what the consumer finds interesting. Who Is Your Consumer Audience? Who are you trying to reach? And why? Those are the two most important questions you must answer in order to create a consumer Webinar. We can help identify the key demographic groups, find out what their interests and greatest concerns are, what social networks they use, and more. By building a profile of your audience, you can then create a topic that will appear to their needs. The second step is to create a topic. Once you know as much as what the audience needs, who they are, and where they are - you can then think of how you and your business solve their most urgent needs. We work with individuals and small to mid-sized businesses to find the right topics. The third step in our B2C Webinar process is to identify your goals. What will success look like? What is a lead? What is a "qualified" lead? Are you even concerned about generating leads? Or do you have another goal in mind? Mapping these things out will help make sure everything we do goes towards achieving the goals we set. After we identifying all the goals, we can now align all our marketing efforts to achieving them. Promoting a webinar is often one of the most difficult tasks. We can help build a list, and identify all the ways you can market your online event so you get the audience you want. Everything from your registration page to email communications, phone scripts to presentation materials, is considered Webinar content. We have many years of experience creating content for Webinars, including presentations. Lastly, comes the technical process of managing the event, followed by tackling the post-Webinar tasks. What Webinar service is going to be used? Will there by questions allowed? Or polls taken? And what kind of follow-up will you need to take after the event is over? 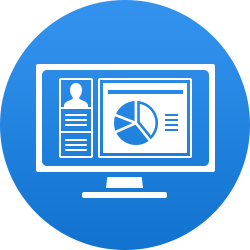 We have experience managing a wide variety of Webinar solutions, as well as addressing post-event communications. Your Webinar Experts is part of the Social Web Tactics marketing team. We specialize in creating and managing highly successful B2G, B2C and B2B lead generation webinars which grow sales pipelines and improved brand identity. We are ready and able to help your company develop and execute a successful webinar strategy that leads to business growth. Contact us today to discuss your webinar needs.